There are two kinds of separation anxiety in dogs. You have those who get stressed when the owners are away, but if they are with somebody, they are able to cope. Then there are those who get hyper-attached to just one person and no matter who they are with, they will be stressed and unable to effectively cope with the separation. This article is about this latter category, those "one-person" dogs who bond completely to just one individual. The bond they form for their human can be compared to that of Velcro. When these dogs are left, they will still be stressed no matter what, even if there is another person they know well in the home. 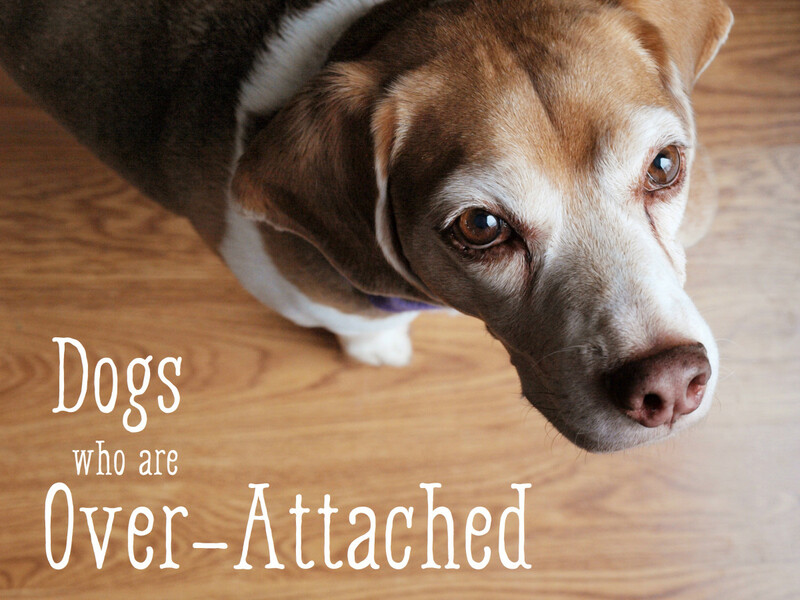 What Dogs Are Prone to Velcro Attachment and What Causes It? There are certain breeds that tend to over-attach to only one person and remain aloof towards others. 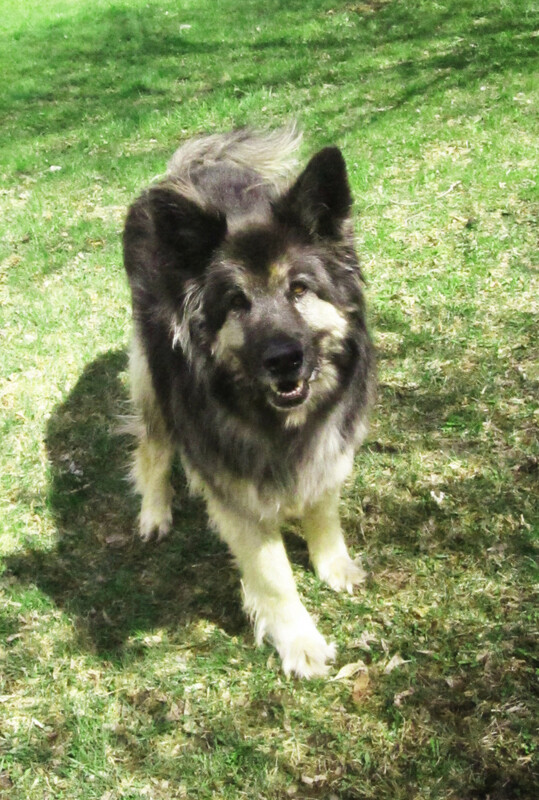 In general, those in the herding and working category may be prone to this quality, as several have a history of being selectively bred to work with a human, like herding dogs, who often develop a unique bond with the shepherd from whom they take commands. You will often see German and Australian Shepherds and Australian cattle dogs bond with one special person. Akitas, Chow Chow, Shiba Inu, and Jindos, all breeds with an ancient Asian descent, have a predisposition for this as well. The Dalmatian is another Velcro breed that attaches strongly to only one person, and so is the great Pyrenees. And of course any other dog, including mixed breeds, can develop separation anxiety. But natural predisposition is not the only culprit. Some become Velcro dogs through learning or negative experiences. Those who were abandoned, who lost their owners and were then re-homed, may live in fear of abandonment and may therefore develop an over-attachment. Others learn to become clingy because their owners, often unknowingly, reward clingy behaviors. Many owners are flattered by these anxiety displays, as they feel it's a sign of loyalty and proof that they mean the whole world to their pet. Still, it must be remembered that these dogs are truly suffering, and one of the kindest things to do is to encourage more independence and help them increase confidence. Sometimes, excessively clingy behaviors may be caused by an underlying medical condition. Some dogs may lose hearing or eyesight as they age and this may cause insecurity which causes them to depend too much on their owners. 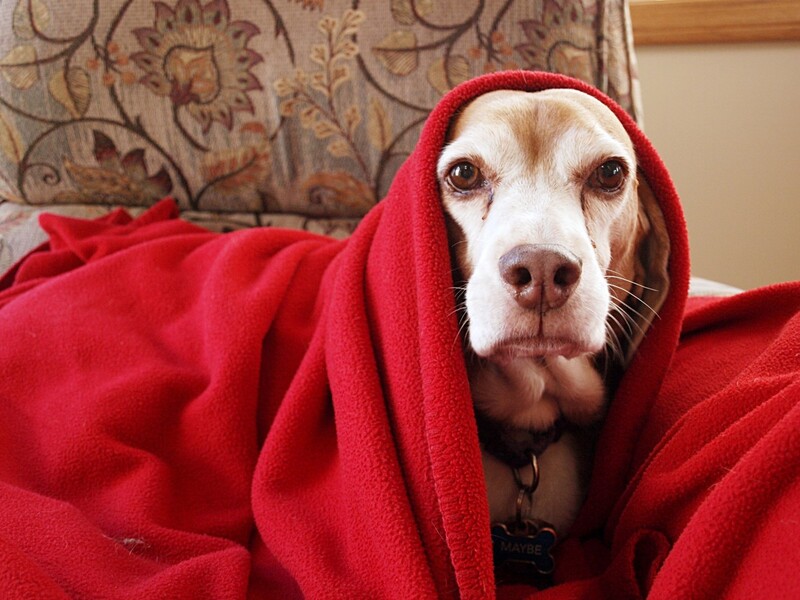 Cognitive dysfunction in elderly pets may also create behavior changes. It's important to get a check-up to rule out medical causes. If you have other people in your household, let them bond more with your dog. Give others the tasks of feeding, training, playing with, and walking. Let them pamper your pet with cuddles and let them become a source of high-value treats during training. Have others give rewards of praise and treats. Most likely, your dog will often approach you during the day asking for cuddles and attention. Ignore these requests. If it barks or whines for attention, ignore this as well. This doesn't mean you shouldn't cuddle him, it just means that it will be on your terms. Call your dog to you and pet him—afterward, signal that the interaction is done by saying something like "that's enough," and withdrawing your hands. Most likely, your hyper-attached pet will constantly try to monitor every movement you make. He'll likely want to sleep by your feet so he is always aware of your movements. It helps to encourage the dog to sleep at a distance from you. Also, using baby gates can help teach him that even if he doesn't follow, you'll be back. Teach him to be patient when you go in another room and close the door. Don't come back when he is whining, otherwise you will reinforce the behavior. Wait till he stops and reward him with your return. If you are walking towards him and he whines, go back out of sight. Advance in his direction only when he is quiet. Also, train the "stay command." For more tips, read How to Stop a Dog from Following You Around the House. If you are always showering your dog with attention, there will be a very big difference the moment you leave home. This is true especially if you make a big show of attention and affection when you are about to leave and when you come back home after being away. These contrasts feed separation anxiety. Make greetings very low-key when you come home and don't make a big deal about going out. Keep the radio on when you are home and leave it on when you leave (if you only put the radio on when you are leaving, or if you always turn it off when you leave, it will just become another cue signaling your departure). The book Behaviour Problems in Small Animals: Practical Advice for the Veterinary Team by Jon Bowen and Sarah Heath refers to this lack of contrasts as "homeostasis." 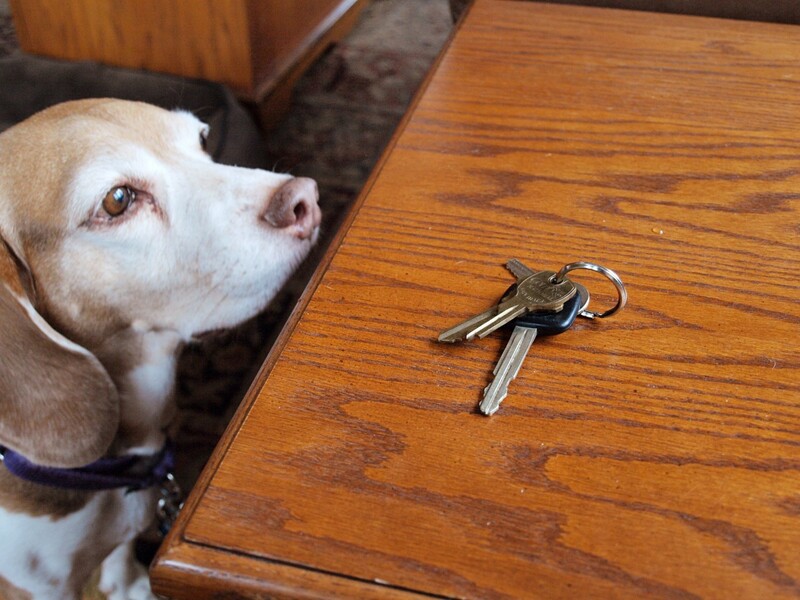 Most likely, your observant pet gets anxious when you grab the keys, as it signals you are about to leave. Start working on making grabbing keys, putting your coat on, or tying your shoes irrelevant by performing these actions every few minutes and then sitting on the couch. Work on counterconditioning by making great things happen when you perform these actions. Disconnect the trigger from the fear: For instance, grab your keys, toss a high value treat, and then close the door and leave for one second. After awhile, you can gradually increase that amount of time. At some point your dog will no longer respond to these triggers. See video below for a program on desensitizing and counterconditioning your departures through clicker training. A behavior consultant who is knowledgeable in cases of separation anxiety can prove helpful. He or she will help you implement behavior modification correctly so that you can up your chances for success. 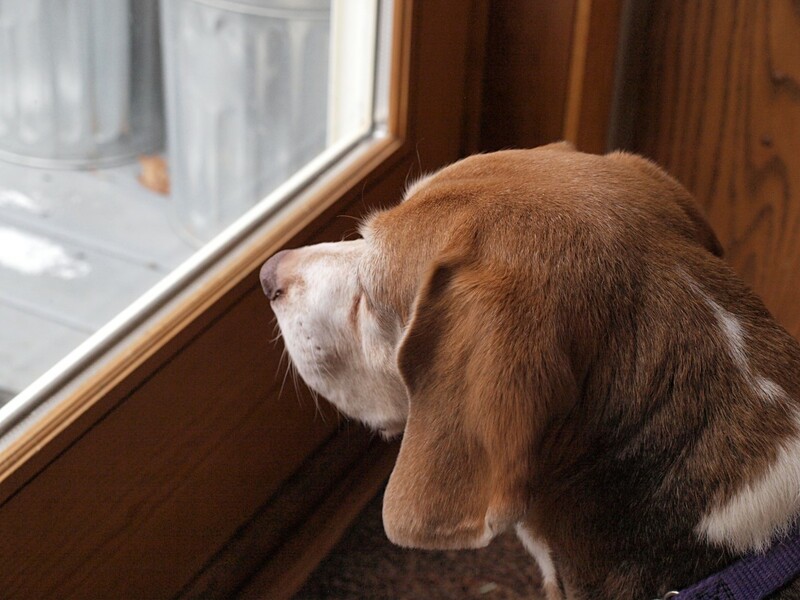 Why is My Elderly Dog Suffering From Sudden Separation Anxiety? 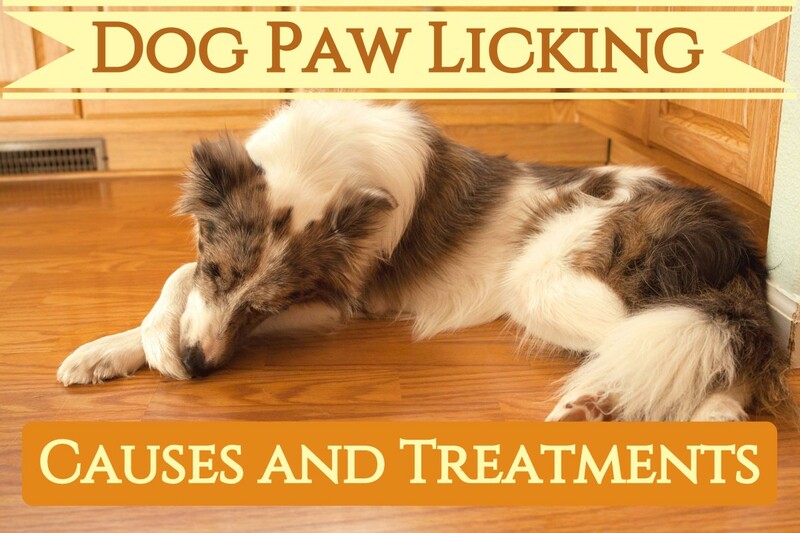 Owners often believe that separation stress is a condition that only affects dogs when they are young, and therefore, they assume that their elderly dog is spared from such condition. But this isn't true. 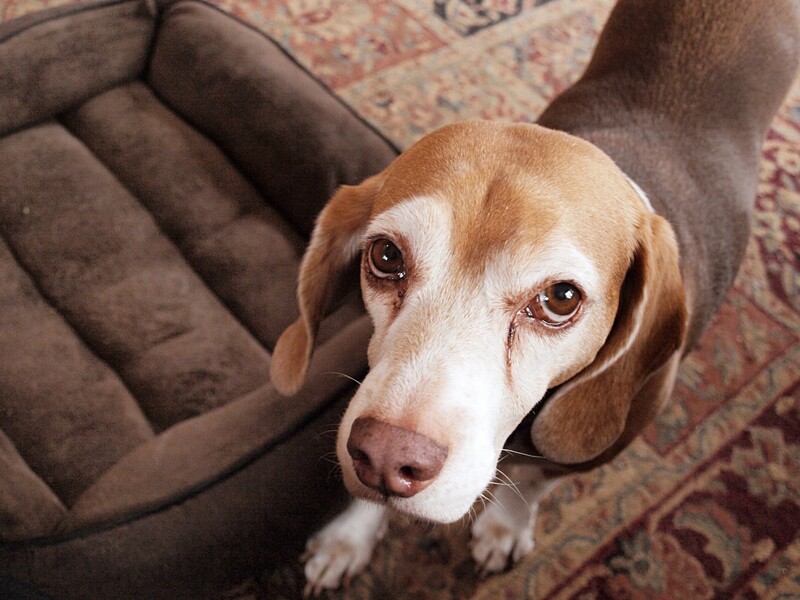 It's a heartbreaking behavior problem in dogs. Learn some solutions and strategies to better manage this problem. What Breeds Have Separation Anxiety? Which ones seem to develop separation stress the most? Are some breeds more susceptible? Answers to some common questions. 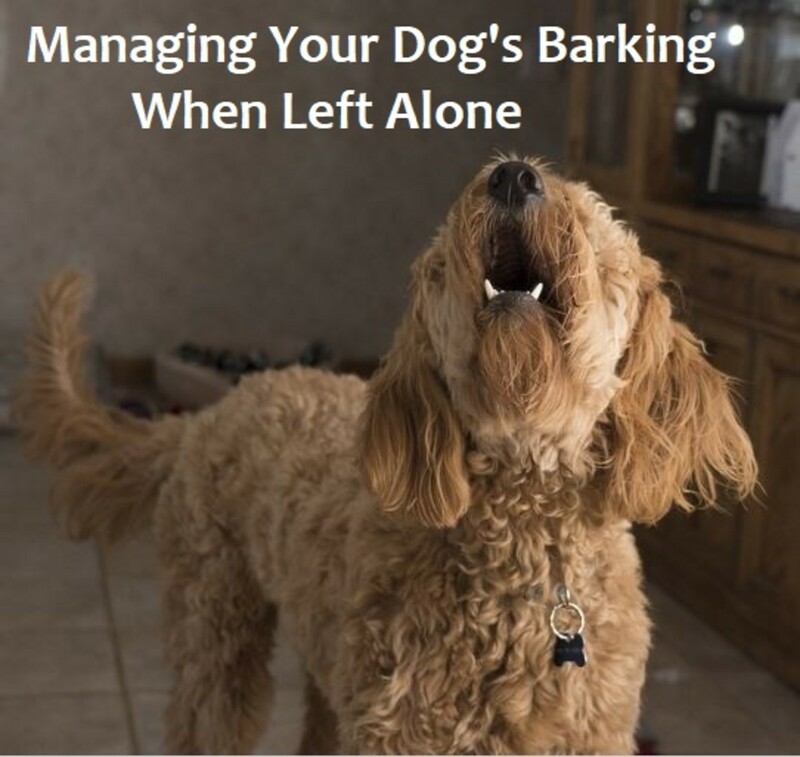 Separation issues can be distressing and make the lives of dogs and owners quite miserable. Desensitization can help. We have an 18 month old Blue Heeler who is overly attached to me to where he has bitten and threatened my wife. This happened when we were both paying attention to him, but also when she has tried to distract his attention away from me. She usually feeds him, sometimes walks with him and spends the day with him while I'm at work and while I'm away, there are no problems. I'll take him for longer walks (usually over 2 miles, most every day) and usually am the one to play with him. How do we get him to lose the aggression toward my wife? Are you still giving advice on this article? Need help with my parents new dog that they took in from a Family member. My 10 year old dachshund has become very attached to me since becoming completely blind very quickly. We have a big family, but he becomes nervous around anyone other then me. He doesn't like to do things he used to be able to by himself alone. He won't even walk around outside unless he knows I'm beside him. You can try to make it a habit of having your son come along every time it's time to go potty. Say "let's go potty!" in an excited tone, open the door and bring your son along with your dogs. Then, let him feed the dogs a high value treat once they are out and successfully go potty. At some point, et your son say "let's go potty!" and open the door and you can start lagging a bit behind each time they are sent out, until your son is only out with them. I have a 2 year old Chocolate Lab. I got him at 6 weeks. He is very attached to me. He loves everyone in the house My husband and son, but he will not go outside to relieve himself or play unless I take him. I also have a 9 year old yellow lab and he won't even go out with him unless I go too. I have a trip coming up and will be leaving him for 1 week. How can I get him to go out with my son to do his business outside. He acts terrified if my son tries to get him to go outside in AM after feeding. 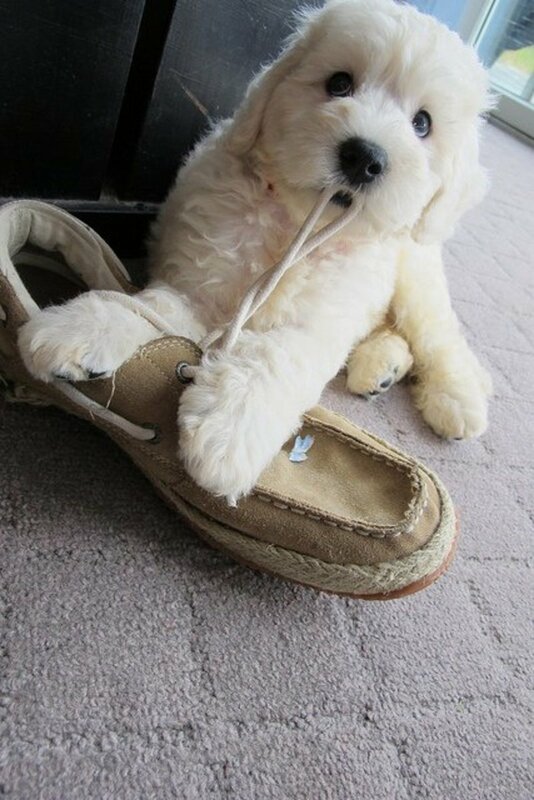 Many pups at this age tend to get very attached. You can try to give a stuffed toy while you repeatedly practice brief absences (like towards another room). Make it a point of only returning when your pup is not whining otherwise you reinforce the whining. I have got a 3 month old cavapoo who is very clingy to me , he loves other people but seems to cling to me , he has only been on his own for 10 minuets and he screams & throws up , will he grow out of it ? A most helpful article. Our dog is one year rescue. When we first got him home he seemed to be bonding with me my love. But less than a week into the adoption he nip and growled when I simply reached to hold him back from following my love out the door. Then a few days later I git hime before my love and let him out the door and he tries to bite me again and when into hysteria when I raised my voice to tell him that wrong. From there it's been downhill ever since. He walks less than a foot from my love he clings to. Won't let anyone collar him but her. He growls when he feels cut off from my love. No matter how many treats I give him or cuddles he will not spends any time with me alone. We'll try the techniques here and hope for the best. Rescue dogs I am learning are a special problem. I Have a 6 mos old frenchie who is a poster child for Velcro puppy I cannot leave the room without him looking for or following me I am home all day and if I do leave he goes with he will not go outside without me if I come in he goes nuts wanting to be with me he sleeps with me I am his 24 7 caregiver now I know that I have a big problem! She can perhaps play with her more, walk her, groom her and train her making it fun and using treats. These are bonding activities. I have a Velcro dog....But I also have a 9 year old daughter that is very upset that our Dog "only loves me and doesn't love her" in the eyes and words of a 9 year old. Is there a way to move her velrco to another person....Even maybe just a little?? We've just adopted a 2 year old border collie. She's a very sweet dog but I think she suffers from anxiety. She is my shadow but won't have anything to do with anyone else in family or otherwise. My husband or son can feed her but she'll only eat if they are out of the room. She won't go outside for either of them preferring to "hold it" until I get home. When they try to coax her outside she hides in her crate. How can I make her more confident and part of the whole family? Collen, it might be this dog is seeking you out because your place is quieter and at 9-years old she may have a need to "chill out.". 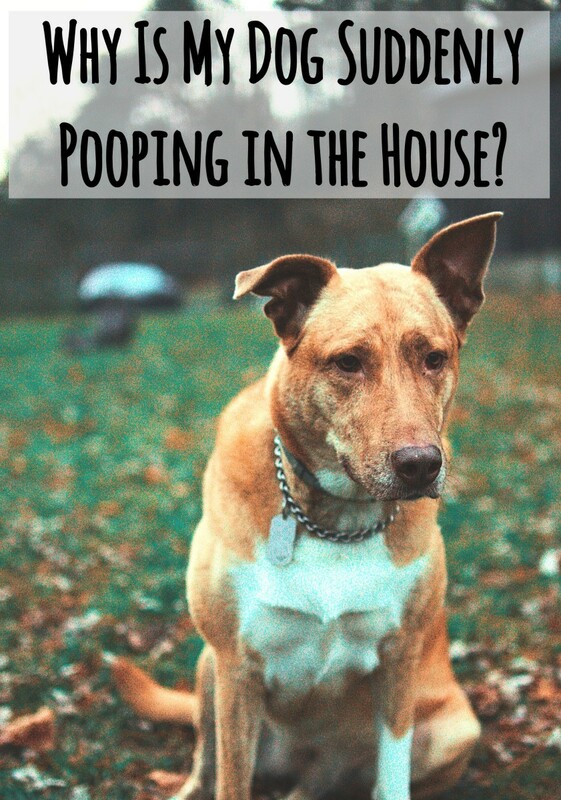 With a four-year old in the home, she may need to have a break as thing can sometimes get stressful and it's tough for dogs at this age sometimes. She's likely attracted to you because you may feel reassuring and calm and your place is more quiet. If she is laying by the door crying and you want to put a halt to this behavior you should not give in or the crying will be rewarded and it go on and one, louder and for longer periods of time. I moved in an apt across the hall from by daughter and 4 yr old grandson. It's been great however, i didn't anticipate having a problem with their dog. We share a laundry room adjacent to our kitchens and most of the time we leave our kitchen doors open therefore allowing my grandson to come back and forth. However her 9 year old dog, has taking a real liking to my place and has been wondering over to sleep at foot of my bed, is in my place when I come home from work to greet me etc. My grandson, is now saying to other family members, in a matter of fact tone, not angry, that he doesn't have his dog anymore because she likes Grandma better etc. which is heartbreaking to me. So last night I closed my door when going to bed and my daughter told me the dog layed on the floor next to my door crying. Can anyone please give me any suggestions on how to resolve? Get him used to your parents for some time before leaving so he has time to adjust. Let you parents be engage in certain activities such as playing with him, feeding him and walking him when you are still around. Then gradually, leave the room and gradually implement exercises where he doesn't see you for a bit. The day you must leave, pretend as if you are leaving him alone, but then, let your parents appear. Hopefully, they will be able to provide some comfort knowing that he's not alone and that there are people who will be taking care of him. He will adjust, the first few days are the most stressful, but then they fit in. I have watched many dogs like yours and they eventually settle when they see they will be taken care of. These dogs don' do well in kennels but in a home environment and company they cope better. Grace Weaver, how old is your pup? My GSD x Corgi has terrible anxiety when I leave him. Even if he is with my parents, who he gets on very well with, he won't play, and barely eats or drinks, he constantly paces and is forever looking for me. I will put these techniques in place but is there any advice for when I have to leave him with the parents how they can help reassure him. He is a rescue and rather a nervous one at that anyways but it is heartbreaking to watch him when he is in that state. Any advice will be greatly appreciated. I have a golden retriever pup n I'm very worried, I'm not sure if she is over the top spoiled or what the deal is. But I have noticed that she will NOT sleep if I'm not sleep at night if I'm not sitting right by her crate. I'm not sure if she is scared about something. But I don't know if this is something that I should be concerned about, or if she is going to grow out of it. Please help , look for advice. Yes, it definitely looked like a murder scene after he was all done. He needed 147 stitches, poor guy. We never crated him after that and for the most part he was fine- with the exception of tearing up and eating any visible food left out! 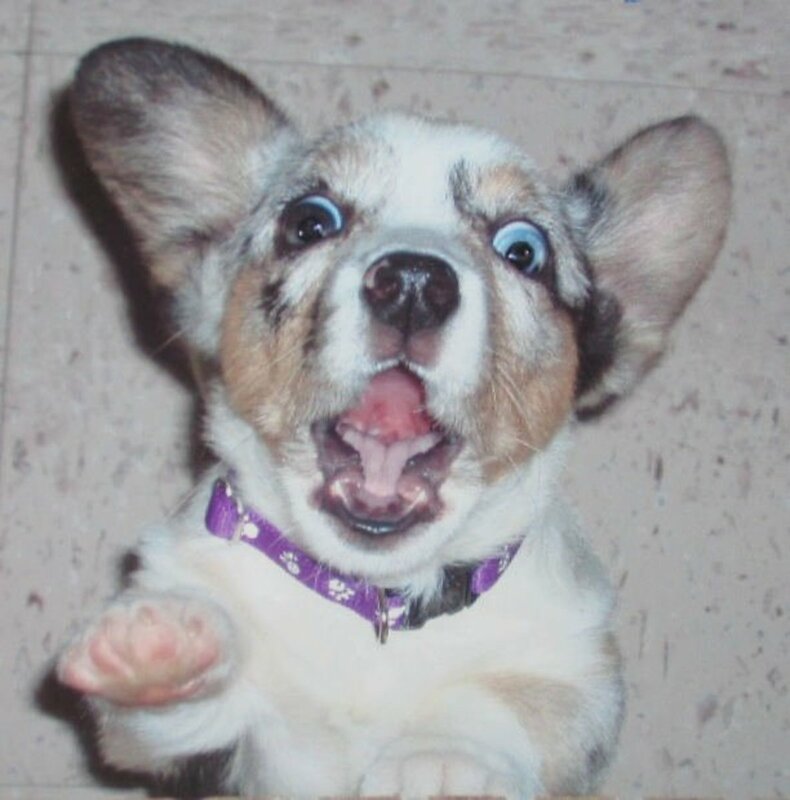 I can't imagine the sheer panic this dog may have felt to do such a thing. Sadly, anxiety off the roof can cause them to even injure themselves. An owner once showed me what looked like the scene of a crime scene because her dog scratched the doors until it bled from it's nails and paws. It can get really out of hand. Our German Wire Hair had such bad separation anxiety, he once broke out of a Shoreline Kennel by ramming himself up against the side until he broke the metal molding on the side, and shinnied out of an envelope sized hole, basically ripping his sides off. This happened in the span of three hours! It was horrible. Thanks you, yes, I love the method used in the video, and some times I also use the clicker for cases of separation anxiety. It works very well! I like the points that were brought up in this hub, and especially the video, which was very interesting. The owner was so patient in teaching her dog to be independent. This was a great hub! Jayewisdome, what a wonderful bond you two have! Several dogs become more clingy as they age, especially if they lose sight or hearing. In that case, closeness gives reassurance as they are frightened by their weakened state. Even with my dogs as they age, I allow them to get away with more things than when they were pups and give them much more pampering. They deserve it! Thanks for sharing your thoughts! I hear you. I also sometimes debate with my husband if we should get anymore dogs after the ones we have. We are no longer able to travel thinking of leaving them alone as they do miserably, refuse to eat etc. I may decide to just foster dogs, train them and get them ready for adoption. I realize that I enable her by catering to her every whim now that she's blind (and bossy), but I feel that she has much less to make her happy. She doesn't want to play with her toys like she did when sighted, and she sleeps entirely too much. I try to spend time with her every day and stimulate her with puzzle toys, as well as walk her on leash around our large back yard, but she'd rather just sit in my lap and put her head and paws on my shoulder. That's difficult to resist! As people in my family jokingly (or not) tell me, I've spoiled her, and I realize it's true. But I don't know how much longer we will be together, and I love her dearly, so I make no excuses for pampering her. She doesn't seem to suffer from strong separation anxiety, but she shows that she's extremely glad when I return from even a brief absence by the high-pitched noise she makes and eager jumping on me. I don't let her continue to jump on me, but I do understand it. 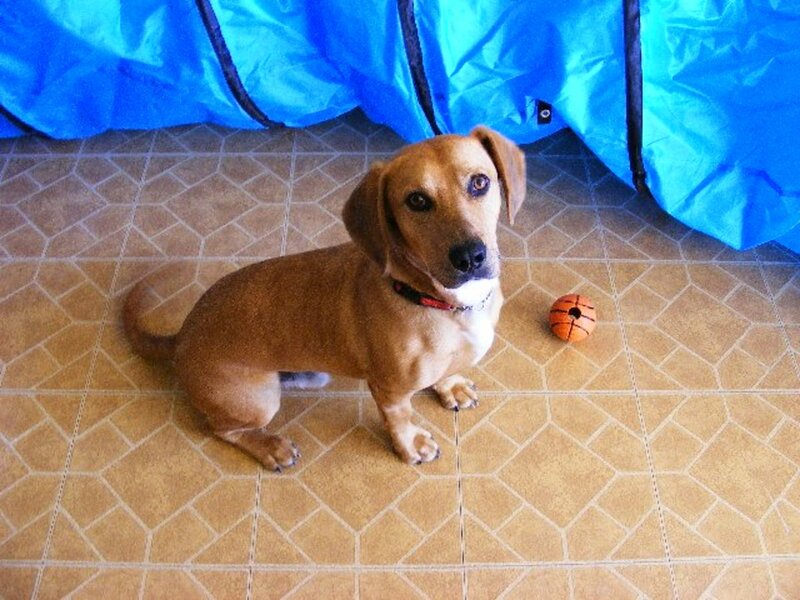 I had a dog and he was attached to me when I left South Africa he had a new owner and did not see him again. It was hard for me to leave him but had no choice . I don't want to have any pets. It is too much to cope with and too much hurt. Great hub.